The range of services that we provide, including Corporate Security Services and School Security Services, etc., are designed to cover a broad range of demands. All our security and surveillance surveys are provided free of charge and we guarantee that our quotes are competitive, while our high level of service is never compromised. The company also provides efficient Retail Security Services across UK. We provide security guards to ensure the prevention of loss, either acting as a physical deterrent or incorporating all areas of security services. training to meet our clients’ staff requirements. 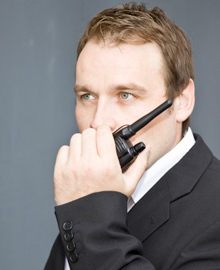 Providing large organisations and establishments with reception/concierge personnel, including access control, either in security uniform or stipulated dress code, always reflecting and safe-guarding the reputation of the client. Includes cleaning, maintenance or other related tasks. Includes managing car park security, traffic flow and signage. We ensure all guards are SIA licensed with mandatory advanced CRB check. Security guards trained to combat any threat, guard against robberies, watch camera monitors and patrol. Security professionals who can perform safe-guarding role while blending in appropriately. Ensuring the safety and security of staff, patients, hospital property and other related services. Providing clients with the confidence that their customers will be safe and secure when visiting their venue. patrols as well as provide written records of all visitors, contractors arriving and leaving, suspicious activity or mileage for CO2 compliance records. Personnel working under cover as shoppers or employees. Checking on premises at scheduled intervals and unspecified times, particularly during weekends and holiday periods, including detailed reports from the patrol unit. Fully insured, 24 hour control centre able to deploy qualified personnel to access yourproperty. Includes football matches, sporting events, live music concerts, park and festivals comprising crowd control and flow, risk assessment, health and safety, first aid and fire safety awareness. Monitoring as well as recording is crucial to its effectiveness. We specialise in providing a combined solution. We will assess when a guard dog will be a necessary deterrent or when one dog can do the job of four security guards. Our mobile patrol unit will respond within one hour inside the M25 radius and within two hours for the home counties. With emphasis on deterring fire, injury and/or negligence. We provide additional support services to your business in the relevant or required area of expertise.